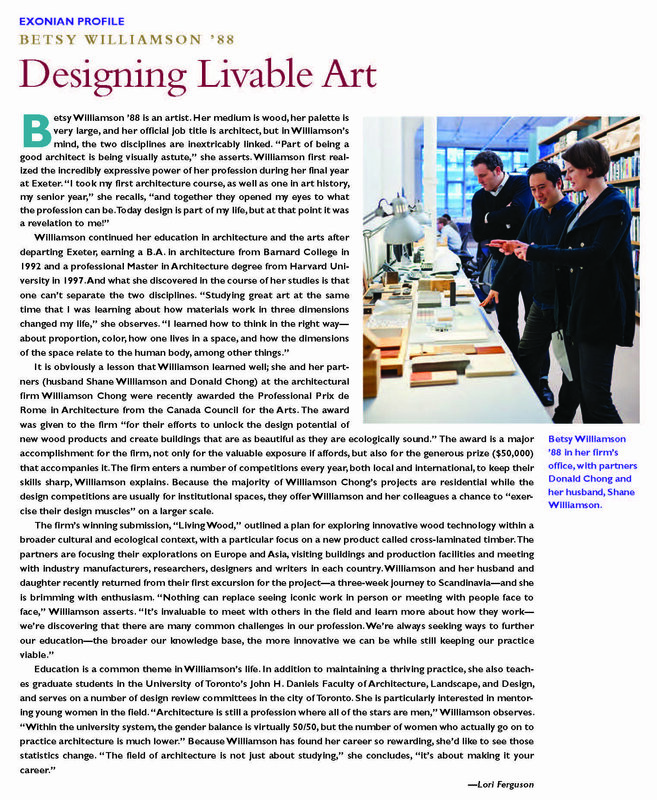 Designing Livable Art | Williamson Williamson Inc.
“Betsy Williamson ’88 is an artist. Her medium is wood, her palette is very large, and her official job title is architect, but in Williamson’s mind, the two disciplines are inextricably linked.” Many architects will tell you that they have wanted to be architects since they were kids. Betsy locked in after taking a series of architecture and art history classes in high school at Phillips Exeter Academy. Lori Ferguson’s Exonian Profile this month outlines Betsy’s start and Williamson Chong’s recent Rome Prize research.